Well, this a nice surprise as we lead into the weekend! 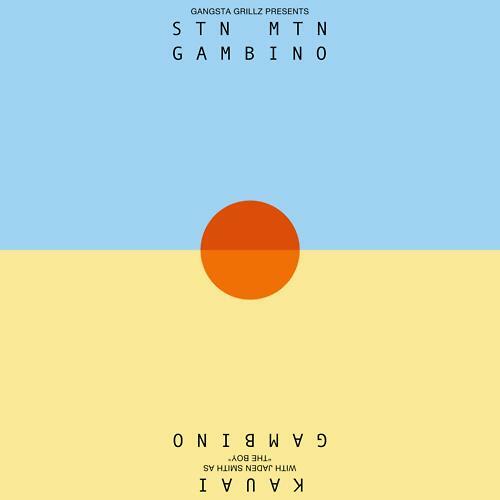 Childish Gambino comes through, outta nowhere, with his new mixtape STN MTN, the other half of which, KAUAI, is an EP that will be available on iTunes later today. For the Stone Mountain-dedicated portion, we get 11 records, with appearances from Kari Faux, Young Scooter and R O Y A L T Y. You may recall we came across Kari Faux awhile back and featured her mixtape Laugh Now, Die Later. Apparently Gambino came across her too, and decided to hop on the remix to her mixtape track "No Small Talk." In addition to that remix, the rapper remixes "Move That Dope." Enjoy. Let us know what you think and be on the look out for KAUAI EP in order to finish the STN MTN experience.